Looking for the perfect mountain getaway for a large group without all of the maintenance? Look no further! 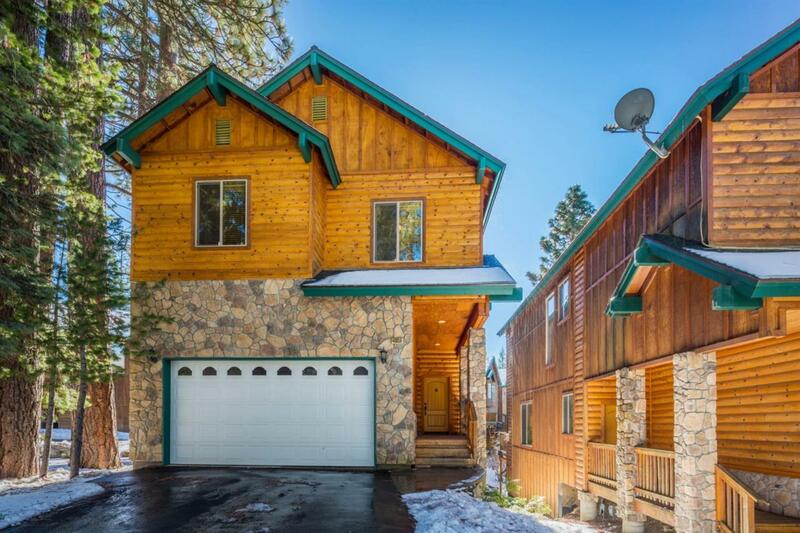 This 3 story Sierra Pines condo is located just before the town of Shaver Lake and sleeps 12 with ease. Oozing with charm the home features log wood siding and stone faced exterior, Milgard dual-pane windows, knotty pine cabinetry, granite counters a jetted tub and an oversized redwood deck for entertaining guests. Unique to the neighborhood, this home has an extended driveway for extra parking. The HOA fee includes exterior building maintenance, exterior insurance and garbage along with snow removal. Utility company gas so no unsightly or empty propane tanks to worry about! An exceptional value compared to traditional cabin ownership. Seller rents the home occasionally for $350/night. Furniture is available for purchase so you can move-in and start making memories! Listing provided courtesy of Nader Assemi of Assemi Real Estate, Inc.